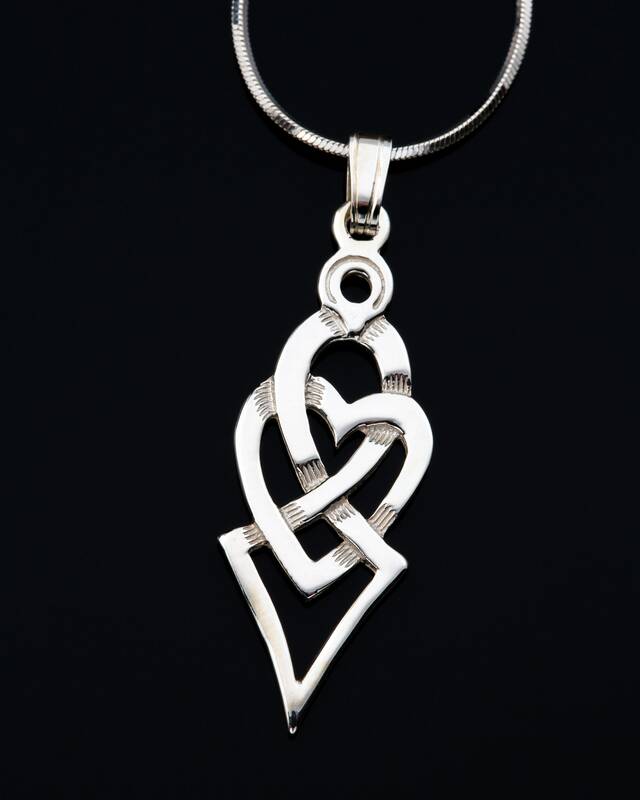 This intricate Celtic love knot design is based on a design found on a piece of jewelry at a ancient site in Ireland. 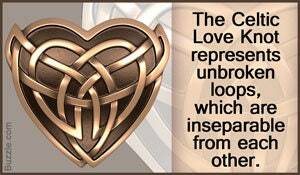 The endless swirl and loop of the Celtic knot work symbolize the endless and enduring power of love. A heavy sterling silver piece that is a true handmade work of art - comes on a high quality 18" sterling silver chain.